Chumbe Island is a small coral island in East Africa just west of the island of Zanzibar, Tanzania. Chumbe Reef has been well recognized as one of the most diverse in all of Africa, and is believed to host 90% of East Africa’s hard coral species, as well as 425 reef fish species, the critically endangered Hawksbill Turtle (Eretmochelys imbricata) and the endangered Green Turtle (Chelonia mydas). The island’s coral-rag forest also possesses numerous rare, threatened and endangered species, such as the Aders’ duiker antelope (Cephalophus adersi), Coconut crab (Birgus latro), and various species of birds, trees and reptiles. The western reef of Chumbe Island has been traditionally closed to fishing due to its proximity to the shipping channel between Zanzibar and mainland Tanzania. However, overfishing and destructive fishing practices such as dynamite fishing, smashing corals to encircle fish in nets, and beach seining are common in the region. With rapid population growth and the advent of mass tourism in Zanzibar, coral reefs are under pressure from overfishing, poaching and the use of illegal fishing methods. The situation at Chumbe Island is not uncommon for developing countries in the tropics: insufficient capacity for effective marine governance and enforcement, poverty, and lack of alternative livelihoods make it difficult to balance a sustainable environment and a sustainable community. Recognizing the high level of biodiversity in both reef and forest habitats, Sibylle Riedmiller, a conservationist and former aid worker, spearheaded the establishment of the uninhabited island and surrounding marine habitat as the Chumbe Island Coral Park (CHICOP) in 1992. 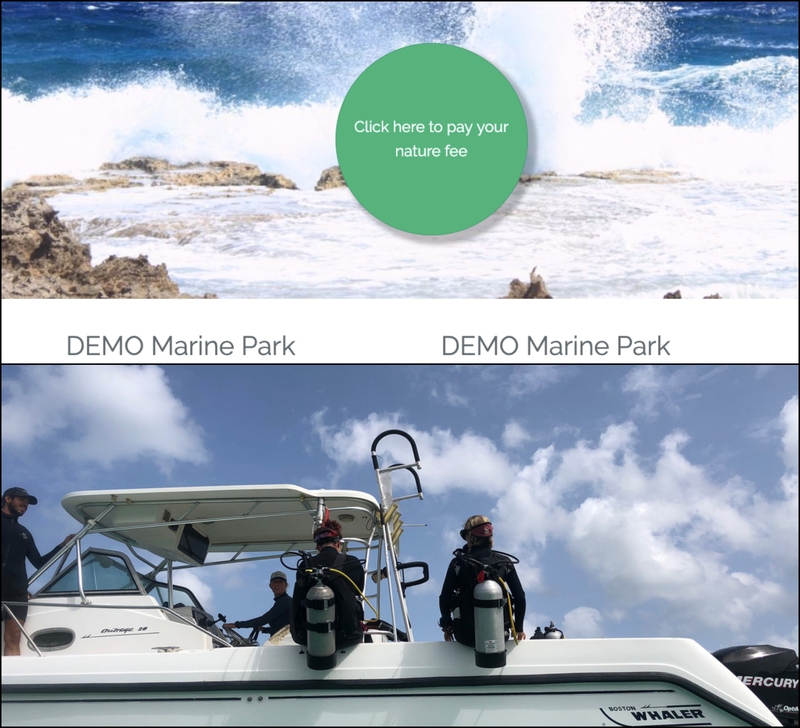 The focus was to create a marine park where profits from tourism would help support conservation and environmental education. Ms. Riedmiller further realized that in order to take fishing pressure off of the reef ecosystem, she could offer local fishermen employment as park rangers, who would also be trained to educate fellow fishers about the spillover effect of a no-take zone that would benefit them by restocking over-fished adjacent fishing areas and thus increase catches. CHICOP has become a successful ecotourism destination and an internationally recognized conservation success. As of 2013, the Park employs and trains 41 local people from Zanzibar (93% of total staff) for positions such as park rangers, guides, and hospitality workers. The rangers and guides, eight of whom are former fishers, educate fishermen about the importance of coral reefs and of a small no-take zone as a breeding sanctuary for fisheries. As a result, CHICOP has been able to demonstrate that protection of the Chumbe reef helps restock overfished reefs beyond the waters of the sanctuary (1 km) within 3-5 years. Chumbe Island has won many prestigious international awards and become a center of exceptional biodiversity and a breeding sanctuary for endangered and rare species. The Forest Reserve is the last undisturbed semi-arid ‘coral rag’ forest in Zanzibar, particularly after successful rat (Rattus rattus) eradication in 1997. With support from the Zoo Munich-Hellabrunn, Flora and Fauna International, and the Chicago Zoological Society, a translocation program in 1999 made Chumbe Island a sanctuary for highly endangered endemic Aders’ duikers (Cephalophus adersi), which are threatened by poaching and habitat destruction elsewhere in Zanzibar. Chumbe also harbors the world’s largest known population of rare Coconut crabs (Birgus latro). Attracted by abundant fish in the reef sanctuary, rare Roseate terns (Sterna dougallii) bred on Chumbe in 1994 and 2006. Another outstanding feature of the Chumbe project is the application of state-of-the-art eco-architecture and eco-technology in all developments and operations. Rainwater catchment provides shower water that is heated by solar power. Photovoltaic energy is used for lighting, refrigeration of food and drinks, and communication. Composting toilets eliminate sewage and save precious water, while vegetative greywater filtration cleans shower and kitchen water before it is released. Water pollution is also minimized through biodegradable soaps and cleaners. Organic waste is composted and reused in the composting toilets, while other waste is removed from the island, and laundry is washed off the island. Guests are given solar torches for walking to the restaurant at night to avoid light pollution and protect feeding and breeding patterns of nocturnal animals. 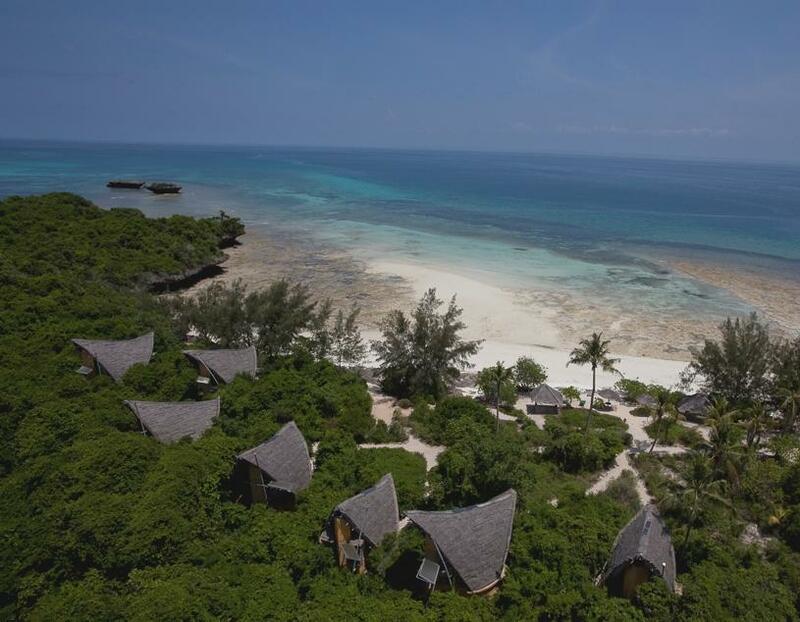 According to the Chumbe Island Coral Park’s Conservation and Education Status Report 2013 (pdf), numerous biological, socio-economic and educational successes have been observed by Park staff and management, and acknowledged by the conservation community, the Government and people of Zanzibar. In April 1998, due to El Niño sea surface temperatures were 2°C higher than average (over 30°C) causing severe bleaching and coral mortality events throughout the Indo-Pacific. 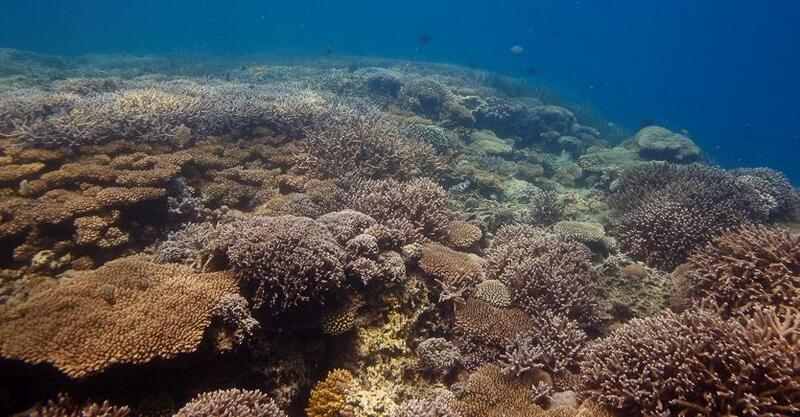 The CRS was also affected, but its coral health, diversity and absence of anthropogenic stress are believed to have helped the reef recover more quickly and with more coral diversity compared to surrounding reefs in Zanzibar. Comparing the abundance of large commercial fish (more than 30 cm in length) between Chumbe and the fished control reef reveals that larger fish are found in the CRS. Compared to the fished control reef, Chumbe shows a much higher abundance of corallivore (coral polyp eating) butterfly fish. This abundance is linked to a high abundance of live hard corals in the sanctuary that provide a diverse reef habitat and food source for indicator species like the butterfly fish. When increased densities of crown-of-thorns (COT) starfish were noticed inside the CRS in 2004, CHICOP management initiated a manual COT removal program which involved park rangers who collect, count and measure all COTs detected during random swims inside the CRS. This removal program has proven to be a very effective management tool as a total number of 3898 COT starfish have been removed since 2004, which had a very positive effect on the health status of the CRS. The COTs are buried on island once they have been counted and measured. CHICOP has become a pioneer in the field of environmental education on coral reef ecology and nature conservation for teachers and school students in Zanzibar and mainland Tanzania. Though Zanzibar is a coral island and Tanzania has extensive coral reefs, school syllabi do not cover coral reef ecology and the general public has little awareness of their importance as a valuable natural resource. The number of different schools applying each year to participate in the program has increased significantly, reflecting the program’s popularity. The number of total education trips per year has constantly been increasing since its initiation in the year 2000. Increased interest from national and international universities to participate in the education trips has been reported. Teacher evaluation seminars, held after each EE season, confirmed in early 2013 that awareness about environmental issues has increased among students after their participation in the Chumbe Field Excursions. Inspired by the Chumbe Field Excursions, many secondary schools have started environmental clubs, aiming to increase environmental knowledge and awareness in their communities. CHICOP is often used as an example of good practice for other projects wishing to initiate and develop environmental education, e.g. Misali Island (Pemba, Tanzania) or Lamu Island (Kenya). 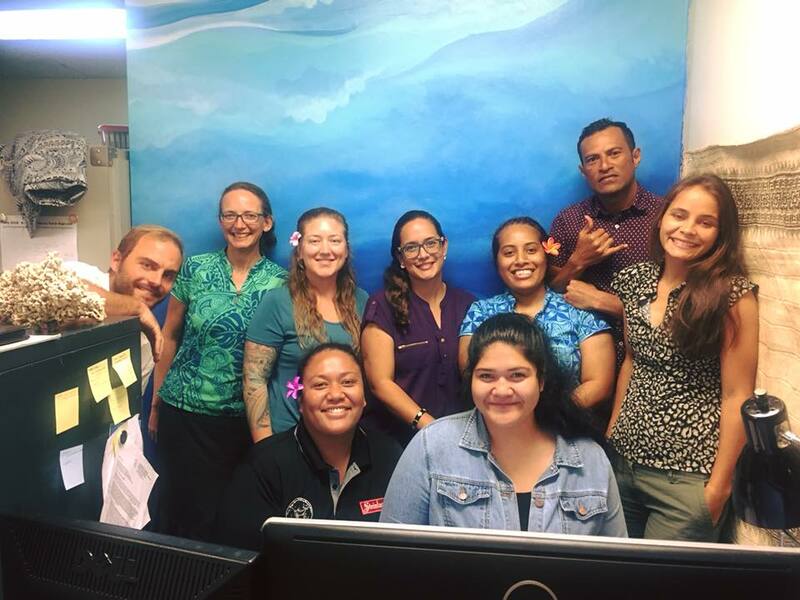 Long-term staff have noticed an increased awareness after years of educating fishermen about the benefits of protecting coral reefs. Park rangers have also reported a decrease in poaching and trespassing, with less than 50 incidents per year since 2008, as opposed to as many as 170 per year in 1994. Within the Chumbe Education Program, CHICOP strongly supports Education for Sustainable Development (ESD), which is a lifelong learning process. Through ESD, CHICOP helps students and community members to develop the knowledge, skills, and action competence needed to create and sustain a viable future for human and other living things in Zanzibar and on the planet. Thus the Chumbe Education Program contributes to the Millennium Development Goals, especially on resource management and strategies for addressing poverty. Private management of a marine protected area can be effective and economically viable, even in a challenging political climate. The park has benefited local communities by generating income, employment, market for local produce, developing new work skills, demonstrating sustainable resource management, and restocking commercial fish species in adjacent areas (spillover). Extensive work with government agencies in establishing the park has enhanced the understanding of environmental issues among local and national authorities. Private management has strong incentives to achieve tangible conservation goals on the ground, co-operate with local resource users, generate income, be cost-effective, and keep overhead costs down. Long-term secure tenure, together with a favorable political, legal and institutional environment, is needed to attract more private conservation investment in the developing world. Ambiguous regulations and wide discretionary powers of civil servants in the area of land leases, building permits, business licenses, immigration and labor laws encourage corruption, and are hurdles to doing business by drastically delaying development and increasing costs. Investment in conservation and in environmentally sound technologies, as well as the employment of additional staff for park management and environmental education programs, raises costs considerably, making it more difficult to compete with other tourist destinations. Favorable tax treatment could encourage such investments, but is not granted in Tanzania. To avoid user conflicts, it is easier to preserve a resource that is not being used to a major extent for subsistence or other economic endeavors by local communities. The pre-operational phase (1991-1998) of CHICOP cost a total of $1.2 million (US). Of this, approximately 50% of the start-up and development costs were funded by the project initiator and main investor, Sibylle Riedmiller; 25% by a variety of small donors for non-commercial components (i.e. baseline surveys, visitor center, ranger training, nature trails, education program); and 25% from volunteers, including individuals and agencies. Commercial operations opened in 1998. The minimum management costs for running CHICOP are approximately $250,000 (US) annually, which have been fully funded from the proceeds of ecotourism since 2001 (a minimum occupancy rate of 30% is required for this to occur, which has been met and exceeded every year thus far). Volunteers have helped with a wide range of tasks, such as: conducting baseline surveys and developing monitoring systems, rat eradication, training local fishermen as park rangers in marine science and teaching English language, training hospitality staff, designing nature trails and educational materials, designing the eco-lodge, and installing and repairing photovoltaic and other technical equipment.